White Lacoste Sneakers first surfaced on Chictopia's streetstyle gallery in Winter 2014 seen on Plovdiv blogger empurple. She wore her white Lacoste white sneakers with a Zara colorful pants and white Mango linen blouse. Since then, White Lacoste Sneakers have grown in popularity as bloggers from Teramo, Puerto Princesa/ Cebu, and London have discovered them. 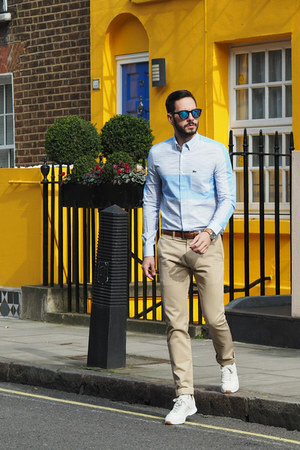 White Lacoste Sneakers are generally seen in casual, comfortable, and sports style. Popular types of White Lacoste Sneakers are white and tan suede. There are currently 12 streetstyle photos of bloggers wearing White Lacoste Sneakers.